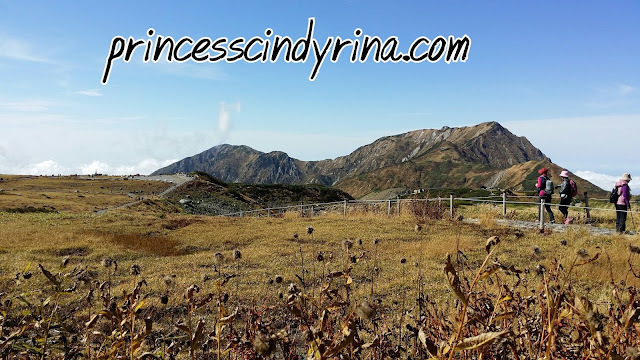 * Tateyama - Toyama ( 1 hours) - I need to reach at Toyama before 6pm to collect my backpack. Drop bag at Shinano Omachi train station for delivery service direct to Toyama. Just pay around JPY1,200 for one bag. Trust me just pay and drop your bag here to ensure you enjoy Alpines Routes journey better. If you overnight at Toyama then just give the lady your hotel name. They will deliver direct to your hotel. Very convenient. Please note the baggage delivery counter open at 8am. 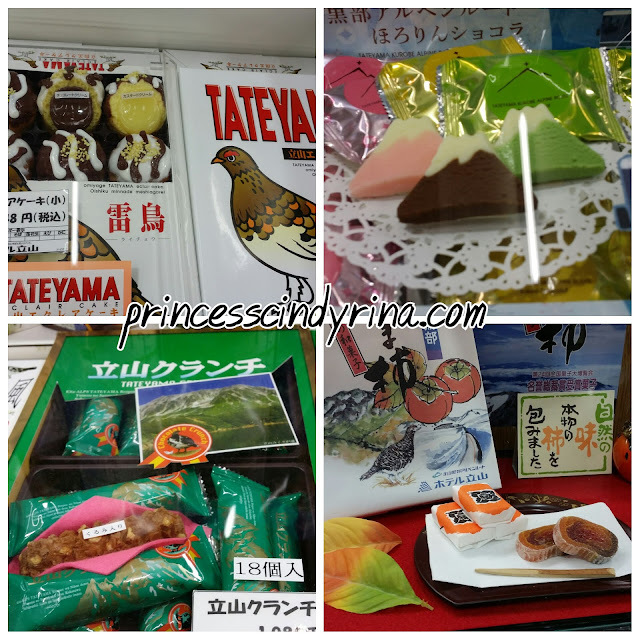 If you happen to reach early then just drop your bag at the convenient store next door. Thats what I did the other day since I reached Shinano Omachi before 8am. The lady can't speak English. You don't worry. Just talk to her slowly and she will reply to you in Japanese slowly. I still understand her. hahahaha... chicken and duck talk and my backpack still safe to Toyama. 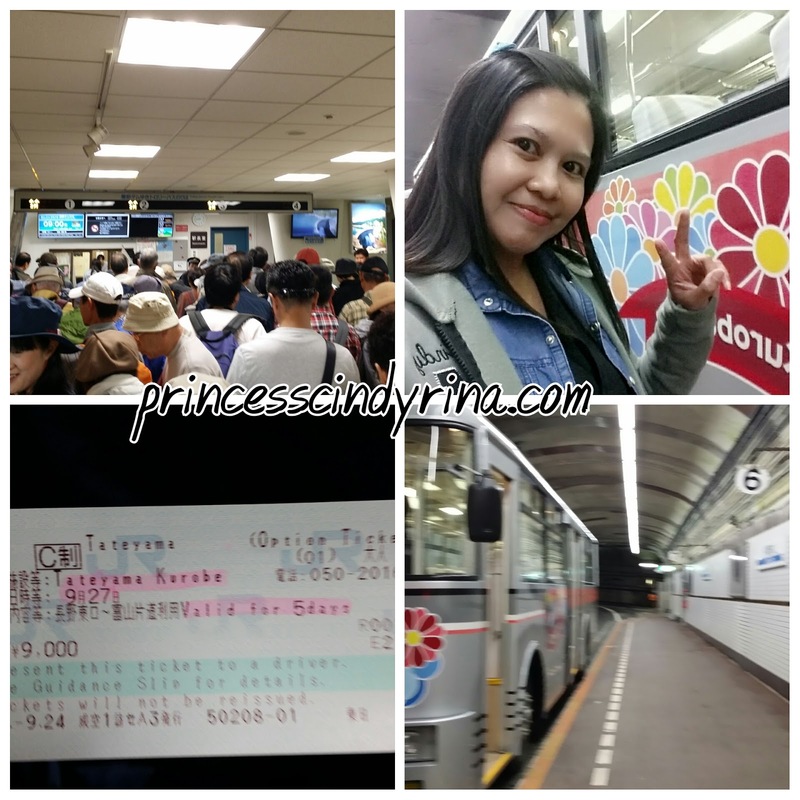 * Then take bus from Shinano Omachi to Ogizawa for around 40 minutes journey which cost JPY1,360 approx USD13. Important note this bus is not included in Alpine Route ticket so please buy the ticket at another lady not that far from the baggage delivery service counter. You won't miss the ticket booth. Important note : If you board the bus from Shinano Omachi and think the bus is not full and you feel super happy. Ngeeeeeeeeee....safe your temporary happiness like me. After less than 5 minutes departed the bus will stop somewhere and there go the crowd. Yeayyyy!!!! let us go to Ogizawa together!!!! 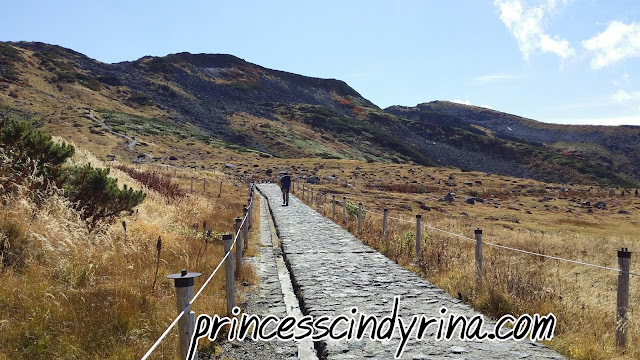 You can buy Alpine Routes ticket at Ogizawa but I bought it at JR office near Narita Aiport which cost around JPY9,000 valid for 5 days. I just want convenient. 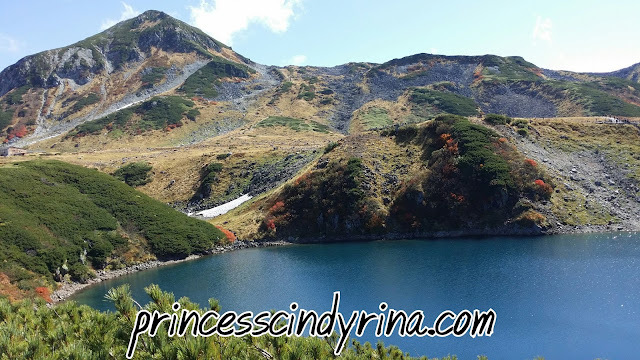 At Ogizawa you can start use Alpine Routes ticket. 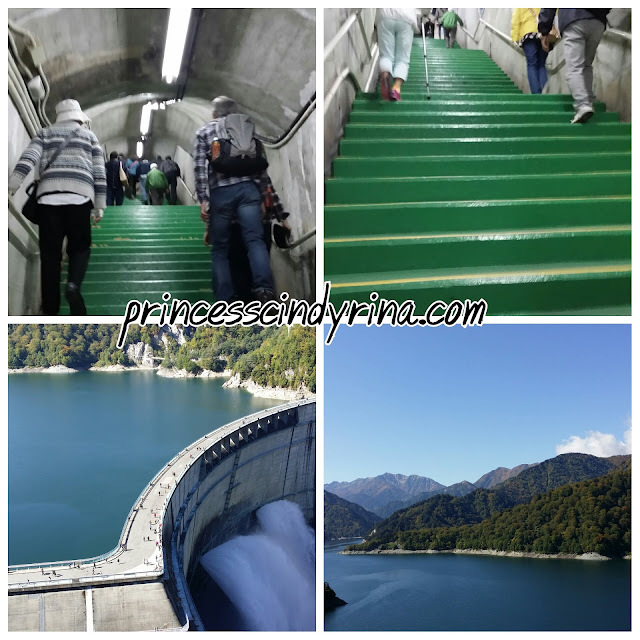 Then line up with all the people to board trolley bus from Ogizawa to Kurobe Dam and the journey will take you around 16 minutes. The crowd that day was a mixture of local senior citizen tour group and Chinese national tour group and few of individual self tour like me. The local senior citizen tour group was quiet and very obedient while the Chinese national tour group as usual with their outstanding loud, noisy and don't care less about any rules. Typical one! When you reach Kurobe Dam....WTH! 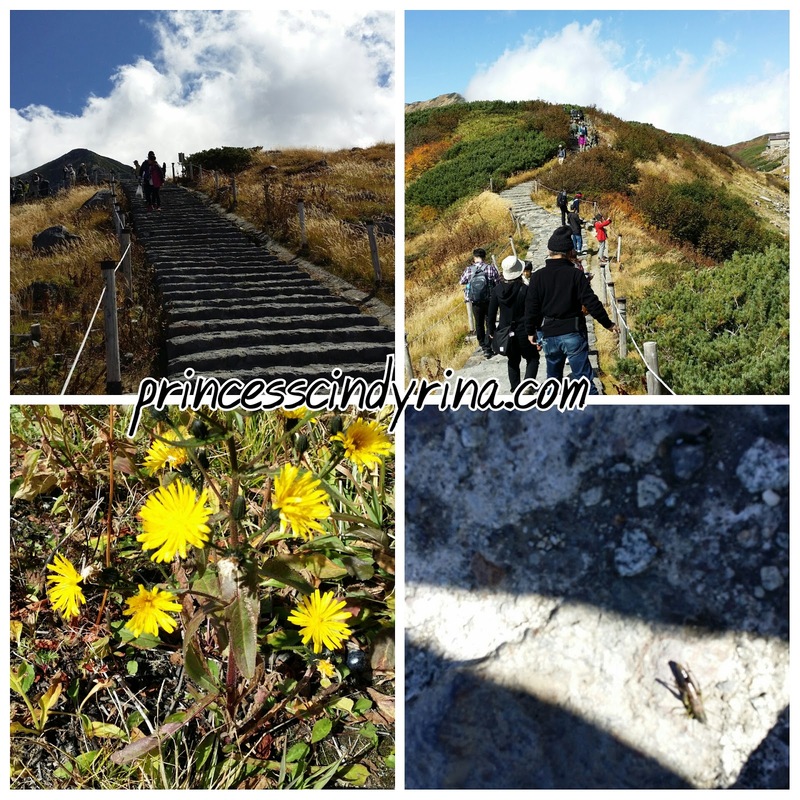 be mentally prepared to take the stairs up and the down and up and down again and then walk along the damn bridge. WTH...more and more walking. If yesterday , I proudly announced I walked at flat land jungle for 23 km. 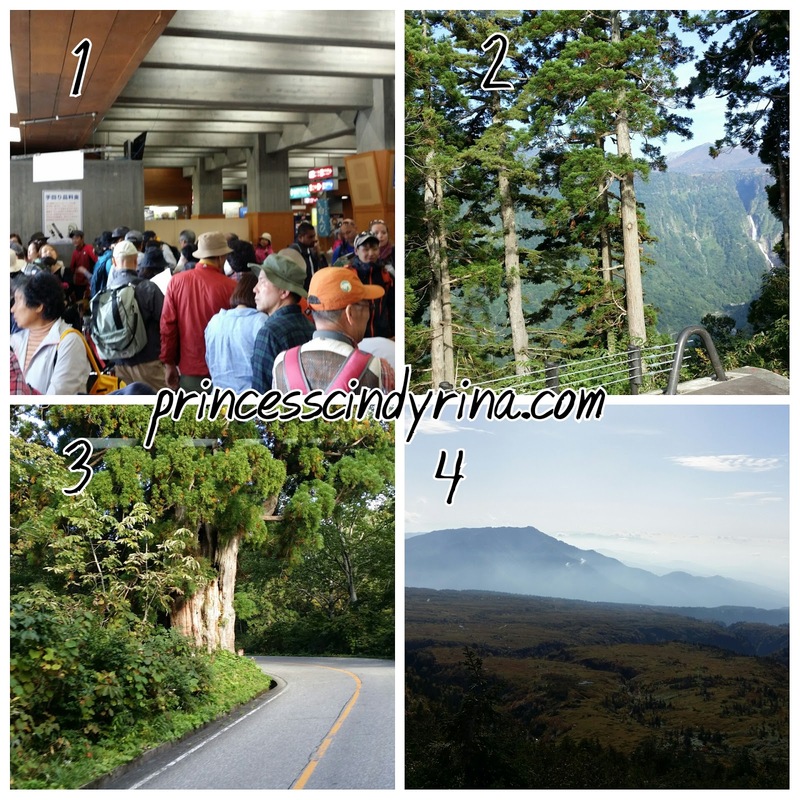 This Alpine Routes....ngeeeeeeeee...challenge my weak knees! I don't want to loose to all those all people. Biting my teeth I climb up and down and walk like I just took pain killer. God Bless me tonight to reach Kanazawa safely. I spent around 1.5 hours here. Enjoying the view. I also paid a visit to the museum on how they built this dam and watch documentary there. How many people sacrifice just for this dam? mmmmm...God Bless their soul! 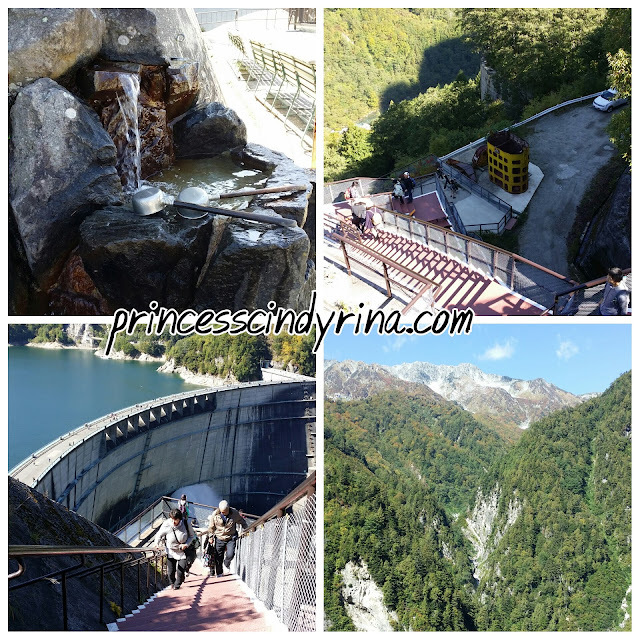 Care for natural spring water? 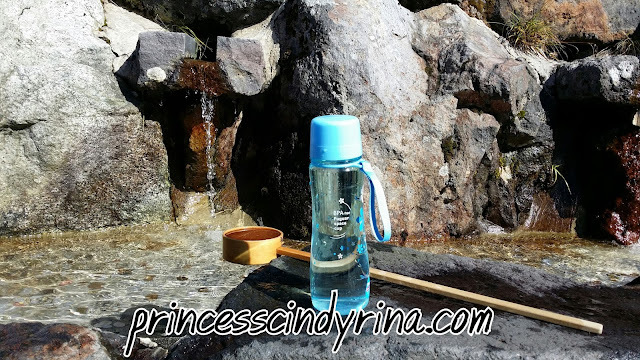 One thing about travelling at inner city of Japan is their natural spring water. I just brought my empty bottle and fill it with this so called 'Japan Evian'. WTH! Double rainbow weeeiiiiiii!!!! Gosh! On and off I sometimes saw tripple rainbow too. 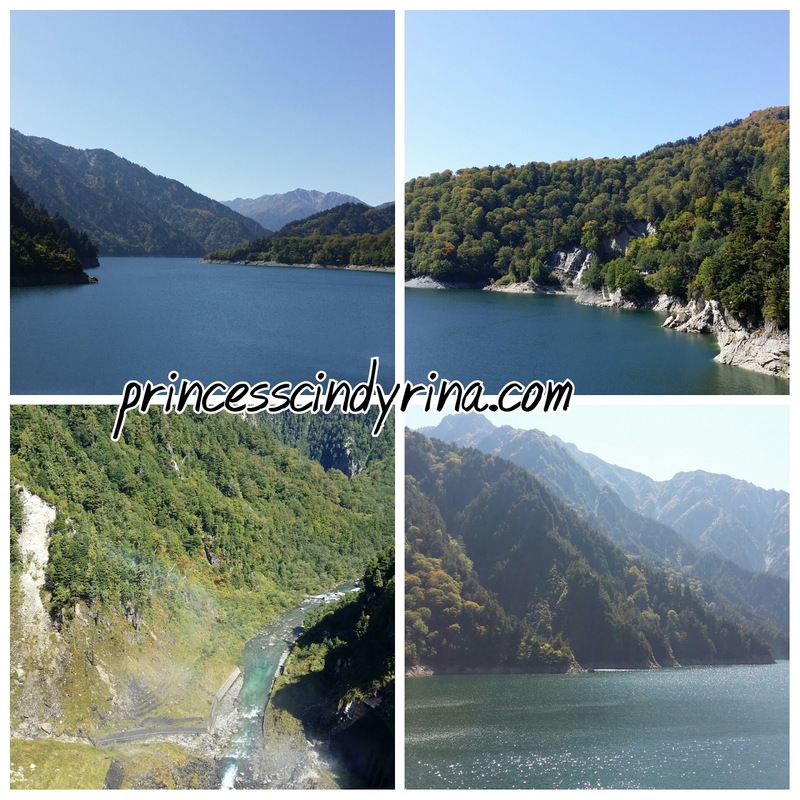 The view from Kurobe Dam is super awesome! 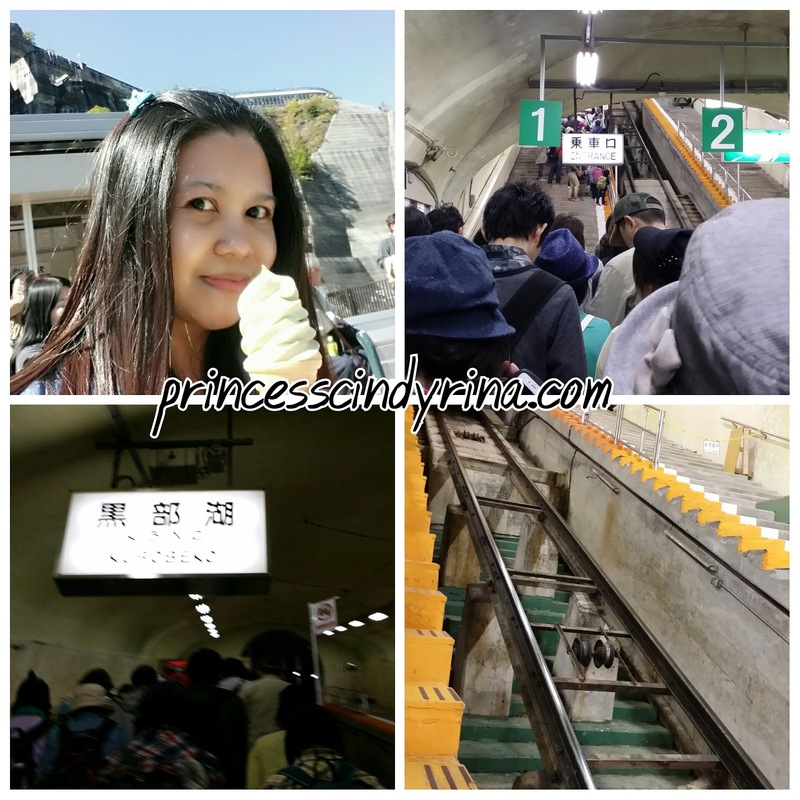 Before walk cross over to the other end of the Kurobe Dam for cable car, I bought this Soft Ice Cream wasabi flavour cost me JPY350. Standard price around Japan. * Then take cable car from Kurobe Dam to Kurobedaira around 5 minutes journey. 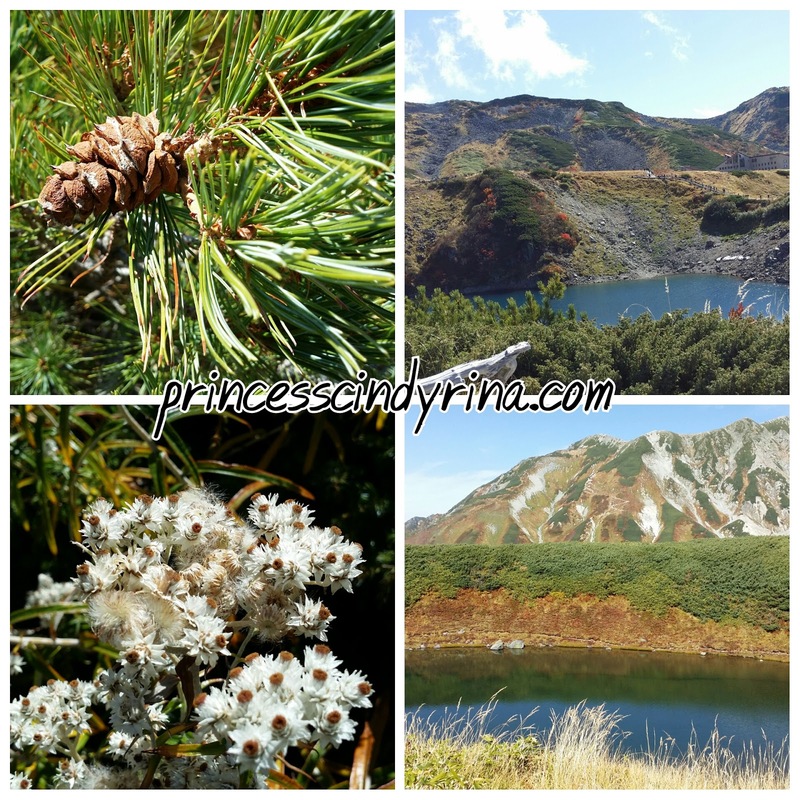 Kurobedaira has roof observatory where you can view alpine plants. The tree and plants are changing color beautifully. The view was beautiful! I spend around less than 15 minutes here to take photo. I saw many people spend their sweet time having quick lunch here. 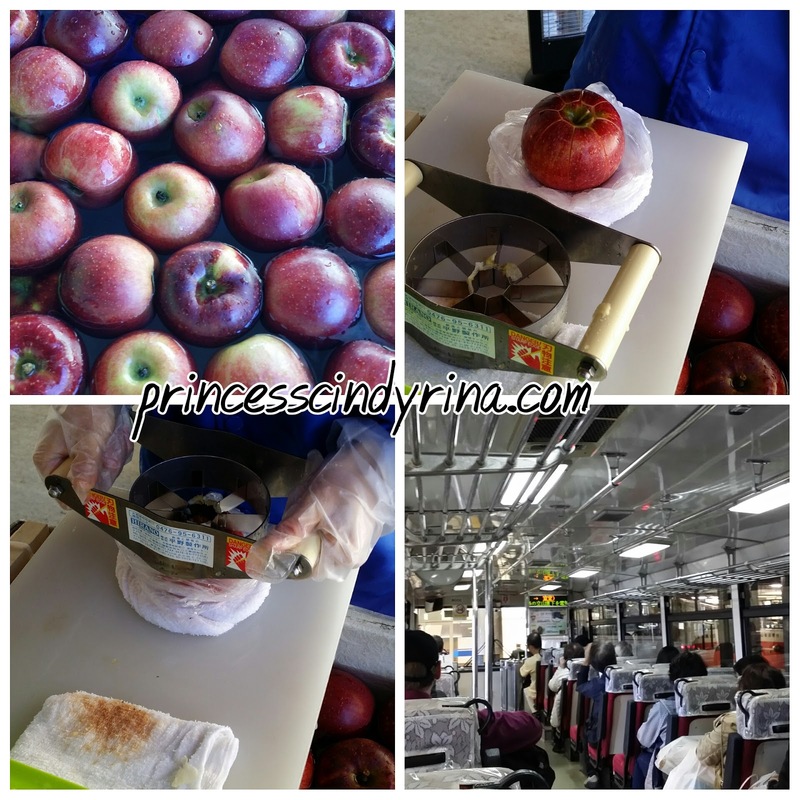 I just bought this 200 JPY fresh apples, then quickly took the ropeway to Daikanbo. 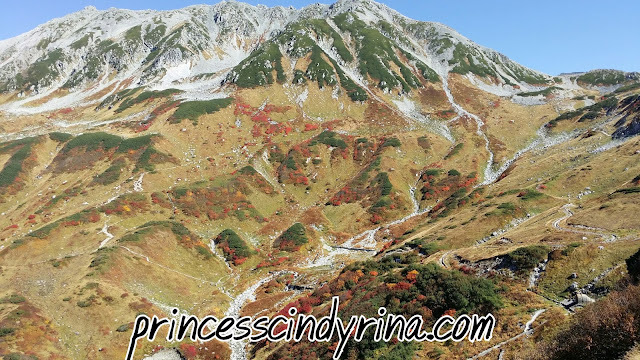 · * Ropeway from Kurobedaira to Daikanbo will take around 5 minutes journey. I don't spend much time here either because my main point to spend more time at Murodo. I then took trolley Bus from Daikanbo to Murodo which journey around 10 minutes. This is the highest point view. I spend more than 2.5 hours here. I ate hot vegetable soups here which bought using vending machine coupon, I think around 540 JPY. 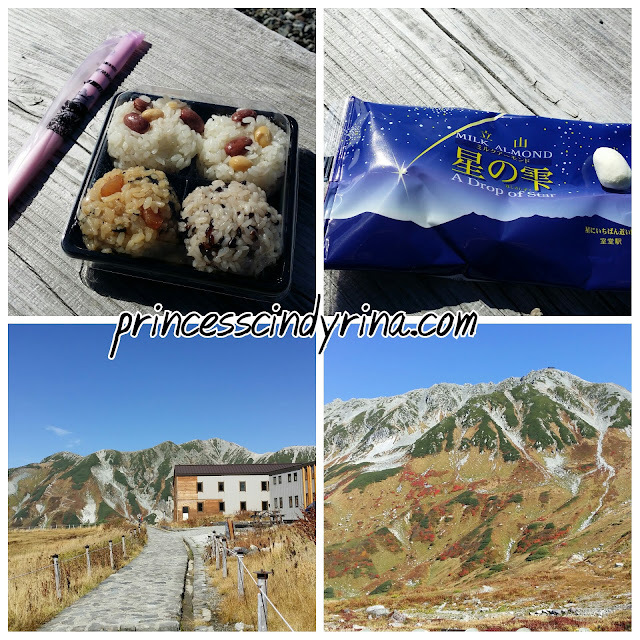 Then bought some rice balls and milk almond for my snacks and picnic on top while enjoying the superb view of Murodo. Murodo, I walked and walked and walked up and down hiking here while enjoying the super natural beauty! I don't feel tired at all. My knee???? huh? I don't even feel sore or hurt. Just by looking at that view make me forgot all the pain. I became greedy wanna go further more and more as if time is not a problem for me. I don't want to write more here....all photo well explained. As you can see...the view was like live painting right before me. Jaw drop gorgeous scenery! 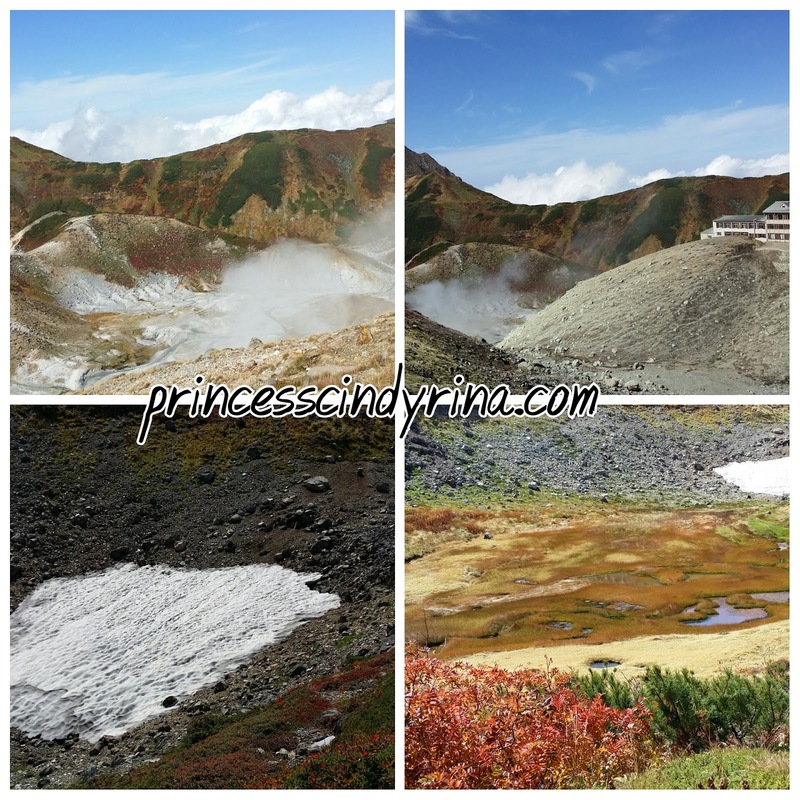 Some poison volcano smokes and also ice. Nice feeling to have delicious Japanese rice balls picnic and murodo famous milk almond. Satisfy my thirst at Murodo natural spring. This is what I said unforgettable journey forever and ever and ever. Before board the bus from Murodo to Bijodaira, I window shopping at snack shops here. WTH! everything so 'kawaii' even the snacks. Damn! How to eat all those kawaii things? 1. To take bus from Murodo to Bijodaira, you need to line up . I was in line for almost 30 minutes before board the bus. The journey will take around 50 minutes which you don't even feel it long. At least during my time where the scene was super beautiful. Bus driver will stop for few seconds at few stops to show you the beautiful view. 2. Eg. this waterfall which my waist almost twisted because I turn my back abruptly when heard the Chinese tour guide said something like something good and I saw waterfall. Yeahhh!!! the bus I board was with Chinese national tourist. 3. Thats the oldest tree. Damn! almost miss that! Reached at Bijodaira the snack shop near by hand out some sample. Don't know what is that I just eat it without any feeling. Taste like jelly but I won't buy. 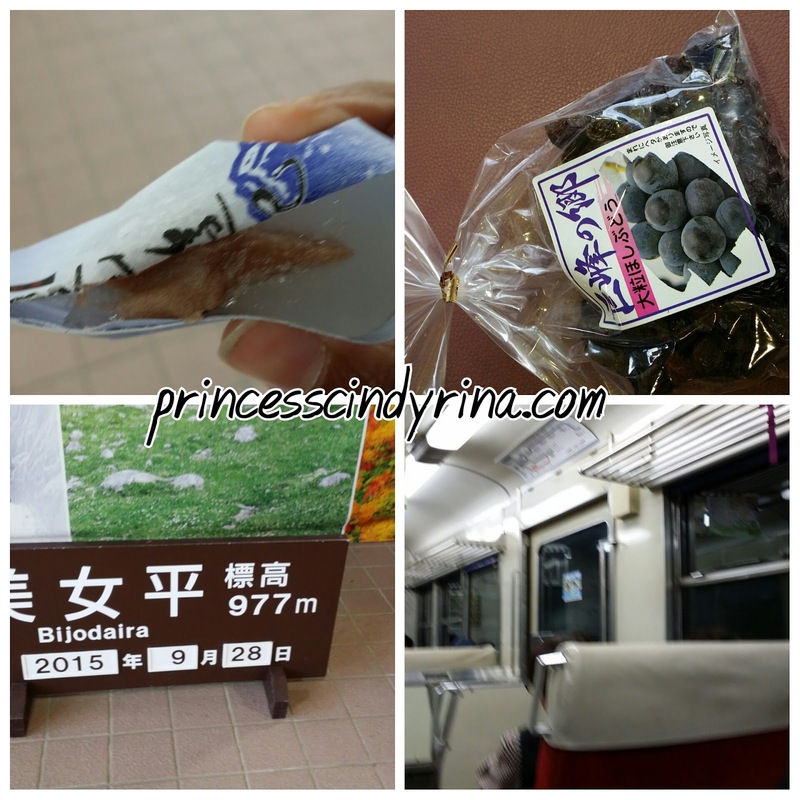 ngeeeee... Then while waiting for cable car down from Bijodaira, I bought local raisin which cost me 480 JPY. 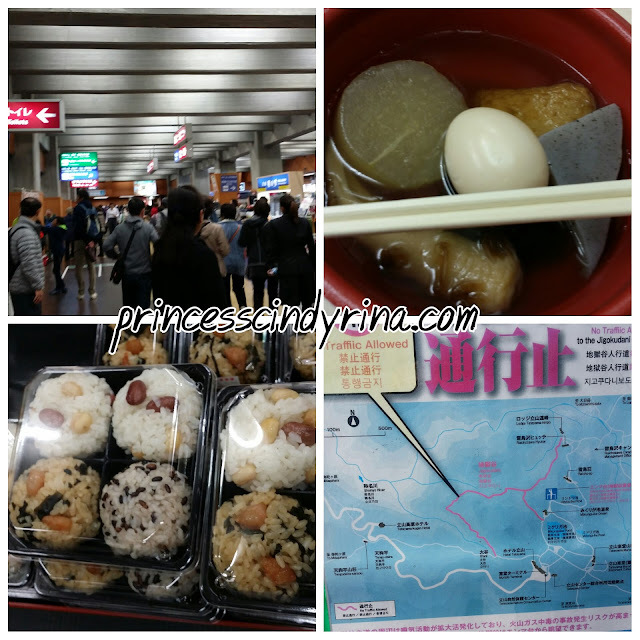 Nice and big raisins is my perfect snacks for my next adventure at Kanazawa. I don't spend much time at Bijodaira. 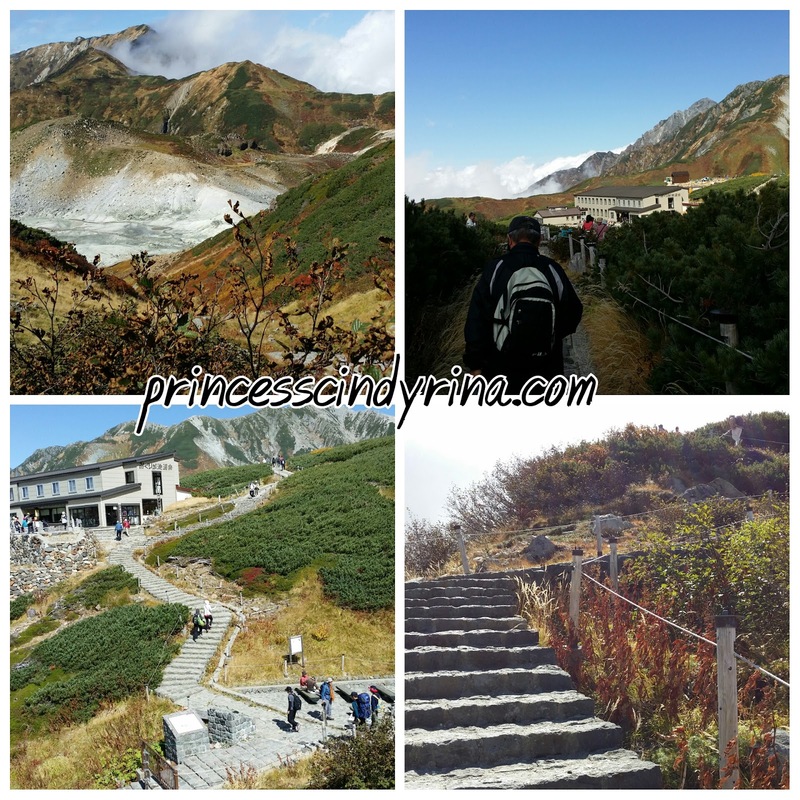 Then took cable car to Tateyama which journey around 7 minutes. This is the end of Alpine Routes. I then took local train from Tateyama to Toyama for 1 hour journey for my backpack. I need to reach there before 6pm. Since I watch my timing closely so I am not in rush at all. I was tired in the train to Toyama. Don't bother about the view anymore and it almost dark anyway. I think dozz off few times. hehehehe..but I am still aware of the surrounding just in case I miss the station. Anyway mine was the last stop so not worry at all. Finally reached Toyama for my backpack. Take note you need to ask for your bag from Station master or any of the ticketing officer there. Just show them the receipt, they will know what you mean. I went out from Toyama station and head to JR Shikansen line to board train to Kanazawa which took me another 35 minutes. By the time I reached Kanazawa, it was dark. Quickly asked one of the person there of my hotel direction . That old man even went to the extend to show me to outside station. 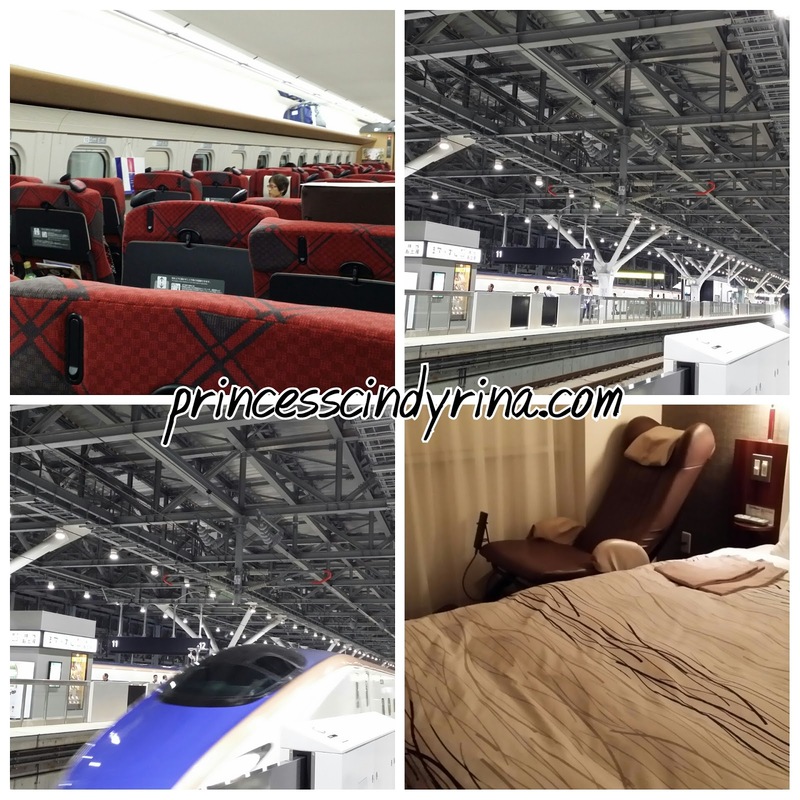 Like I said most hotel I booked walking distance from train station. Check in and drop my back pack. WTH! my hotel room got massage chair somemore???? walauweeeeiiii!!!! sooooo..DAEBAK!!!! for my aching body! Whatever it is ....I straight head for my first dinner at Kanazawa. 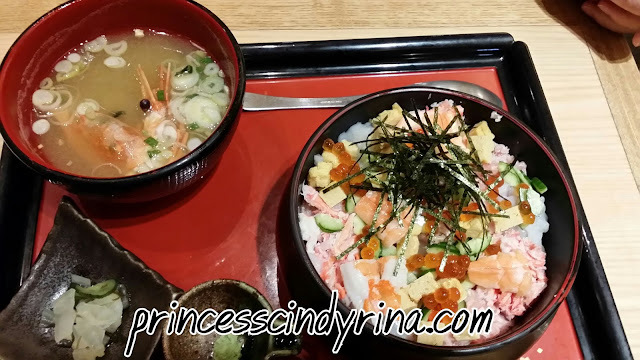 If Matsumoto famous with Soba and Wasabi here at Kanazawa famous with rice bowl with fresh seafood toppings! BEautiful scenery in Japan. So nice. You're so adventurous, babe! :) i dont mind going there for the picturesque scenery. Too amazing! Thanks for your recommendation. I can plan my trip already. Rice bowl with fresh seafood toppings looks tempting. Yummy! my eye was so refreshing with your lovely nice japan travel guide. wish i could be there too. What a great sight! I might plan thiis in my next trip to japan! The pictures are all breathtaking. And I want to go to the dam too! I like the scenery. First time seeing a photo with double rainbow, really spectacular. Japan is so beautiful and you have captured it very well. Seems you had a gala time enjoying the place. thanks for sharing all these beautiful scenery photos :) very nice! 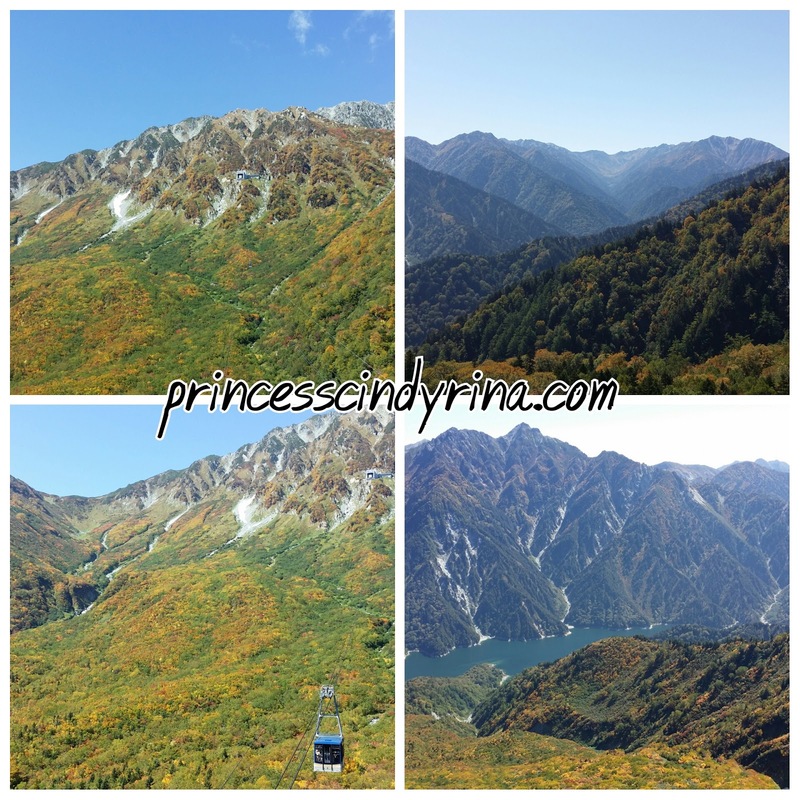 OMG the scenery along this Tateyama Kurobe alpine routes are awesome and spectacular. I love Japan and wish to go back there again. Double rainbow damn amazing !!! Japan is such a beautiful country. I wanna go there someday. Love the scenery in this article too. 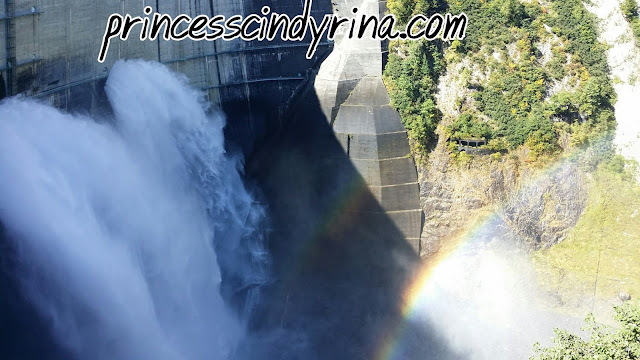 the view at the dam is quite breathtaking, it's really worth to spend hours there just to take it all in. you really know the best places to go.